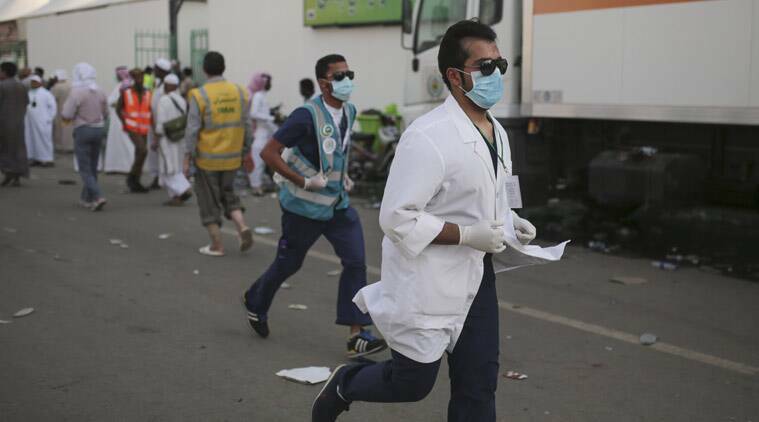 Haj Consulate in Jeddah on Monday said the deceased included three pilgrims from West Bengal and two each from Kerala and Jharkhand and one each from Tamil Nadu and Maharashtra. The number of Indians killed in the Haj stampede rose to 45 on Monday as authorities identified 10 more bodies among the victims of the worst tragedy in 25 years to hit the annual pilgrimage in Saudi Arabia. Earlier, 13 more bodies were identified among the dead on Sunday raising the death toll to 35. Saudi authorities have put the total death toll from the stampede during Haj to 769. The number of injured stands at 934. At least 13 Indians were among those injured. King Salman has ordered the formation of a committee to probe the deadly incident during the five-day pilgrimage in which around two million people from over 180 countries took part. From India, 1.5 lakh pilgrims performed Haj. Haj is one of the five pillars of Islam that should be performed at least once in a lifetime by every Muslim who is financially and physically capable. The stampede broke out after two massive lines of pilgrims converged on each other from different directions at an intersection close to the five-storey Jamarat Bridge in Mina for symbolic stoning of the devil. It was the second major accident this year for pilgrims, after a construction crane collapsed on September 11 at Mecca’s Grand Mosque, killing over 100 people, including 11 Indians.